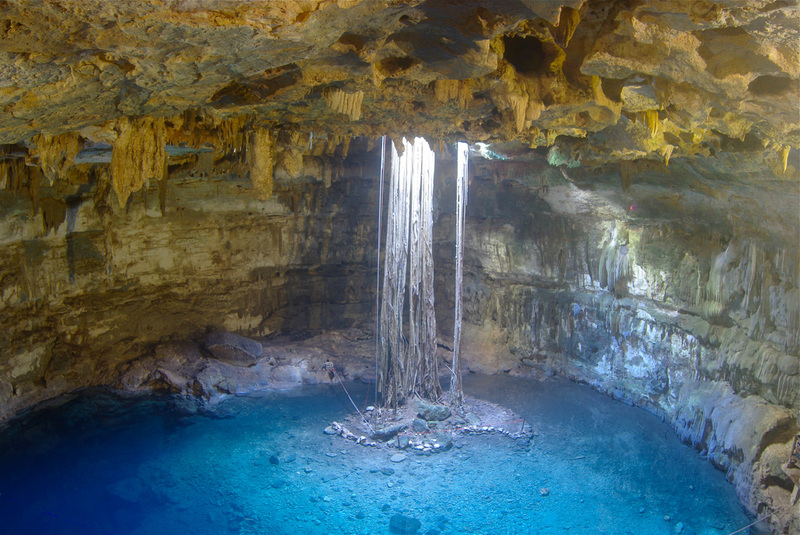 Some of the natural wonders that amaze and attract people to the Yucatan Peninsula, are undoubtedly the cenotes. Due to its geographical features, all rivers are underground and cenotes a large part of these systems, which are the largest in the world. Cenotes are a true gift to nature that you simply can’t miss while visiting. Enjoy diving, snorkeling, swimming or just stand back and admire their natural beauty. 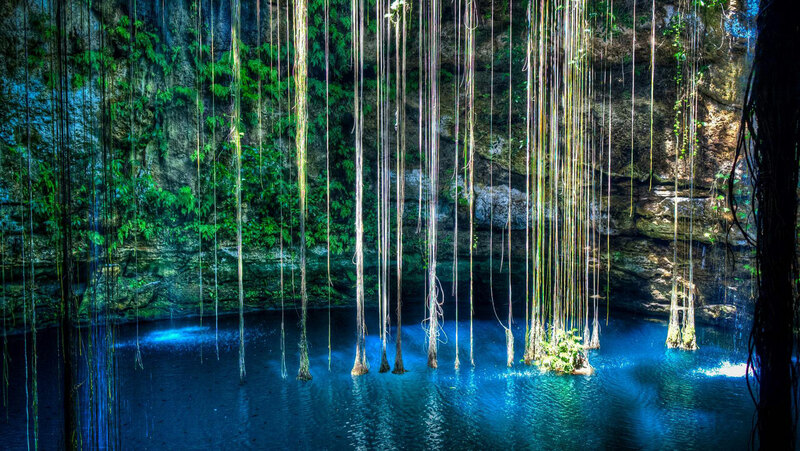 Here are the five cenotes we recommend you visit while traveling to Cancun. Cenote Dos Ojos, meaning “Two Eyes” in Spanish, has 28 known cenotes. These cenotes are just north of Tulum, and are part of a river system of caves that stretch nearly 38 miles long making them one of the 10 largest underwater cave systems in the world! 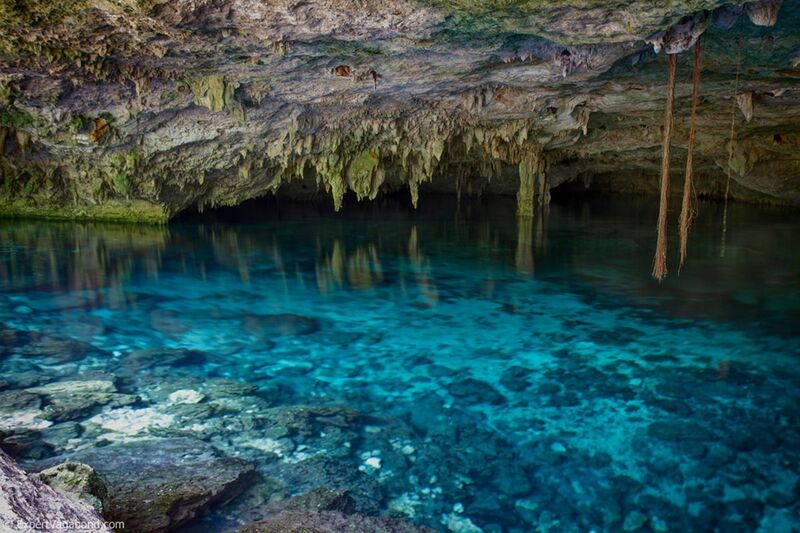 Containing the deepest known cave passage in all of Quintana Roo, this spot is the perfect place for scuba diving. This beautiful cenote is located in the center of Valladolid, Yucatan. Its blue waters invite you to dive in for a swim and work up an appetite. Afterwards you can enjoy a delicious lunch at the restaurant named promptly after the cenote. In the town of Cuzamá there are many cenotes, but 3 of them truly are the most beautiful: Chelentún, Chacsinicche, and Bolonchoojol. Enter Chelentún from a wooden staircase and enjoy the blue waters of this shallow centoe. Chacsinicche invites you into its waters to snorkel and enjoy the view of the sky from the opening above. 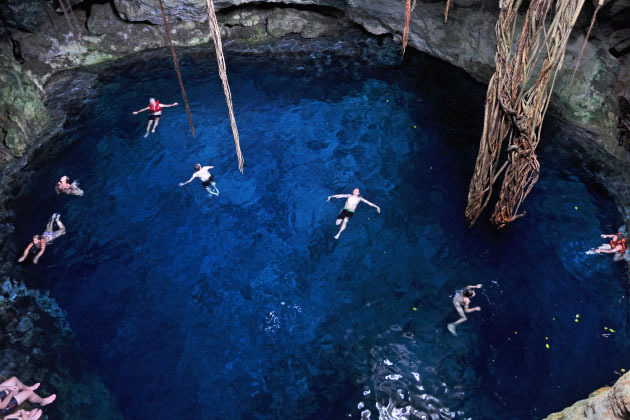 Bolonchoojol is noted as one of the most beautiful cenotes in the Yucatan Peninsula. If you choose not to swim, you must at least witness this beauty as the sun lights up it’s blue waters. 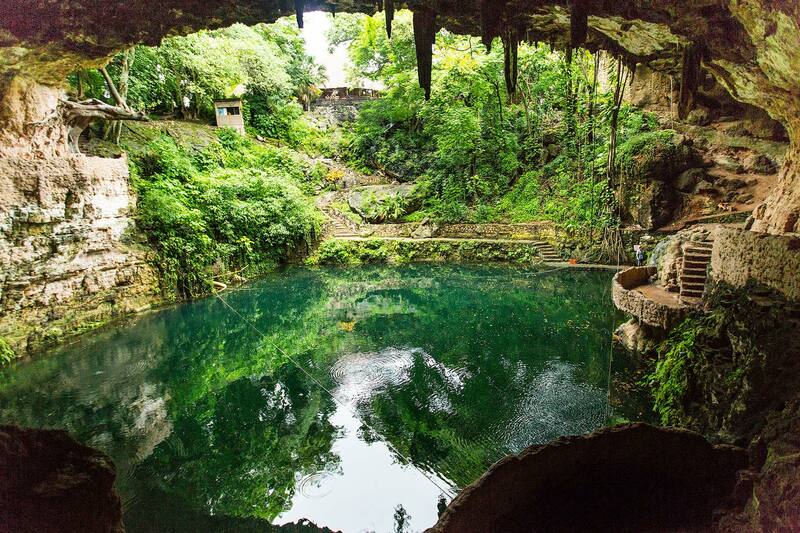 More accurately know as X’keken, this cenote is created from limestone formations that arch over the waters. Known as one of the prettiest centoes you might be quick to think that these colors could not be real; But you would, in fact, be wrong. The beautiful blue hues come from the sun shining through the top allowing the light to hit the waters creating these amazing views. 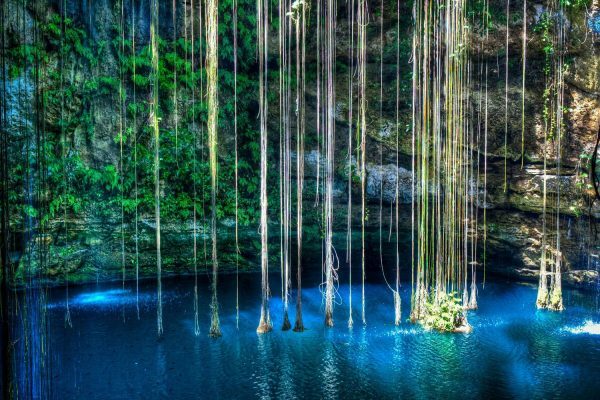 A little over a half a mile from Chichen Itza, Ik-Kil has vertical walls that jet straight up; Covered with plants and black catfish swimming in the waters, creating an un real atmosphere. Mayans used this cenote for both relaxation and ritual services. Ik-Kil is the perfect place to cool off, and is easily accessible to the public with tours available. There are many cenotes located in the Yucatan Peninsula and many more places worth visiting while in Cancun. If you are ready to experience these natural beauties below the surface, then book your trip to Cancun now!